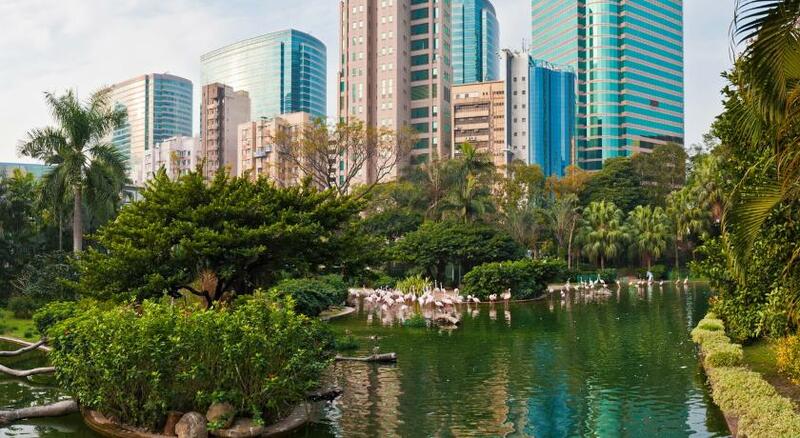 Lock in a great price for The Mira Hong Kong – rated 8.4 by recent guests! Good location in a very busy district. Lots of restaurants around hotel. Great location with only a few minutes walk from the metro station! 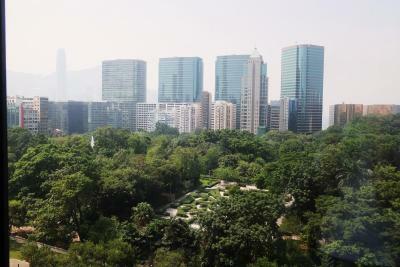 Room view is very impressive: whole view of Kowloon Park, 2 tallest buildings in HK, and even a little bit of ocean view! Staffs are nice and helpful. Hotel was absolutely amazing in every way! Couldn't have asked for more and staff went above and beyond! except the noise isolation facilities not that good, everything else is perfect! 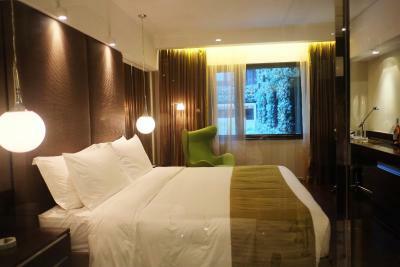 Nice Hotel, very central, modern and clean. Shower was very nice with multiple shower-heads on the wall. I loved the location I loved the pocket wi-fi buddy so I could have wifi all the time! The hotel's location is perfect! The room facilities are ok, we love the the pocket wi-fi provided by the hotel. 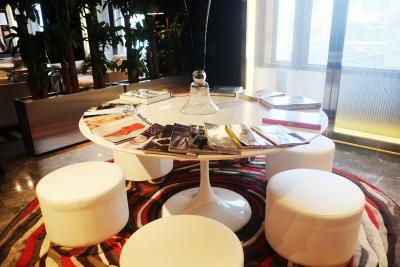 The concierge staff are very accommodating and helpful. Everything was perfect, especially spa and swimming pool. Vibes is one of my favorite lounge bar since 2015. Room was clean and I like that round chair. 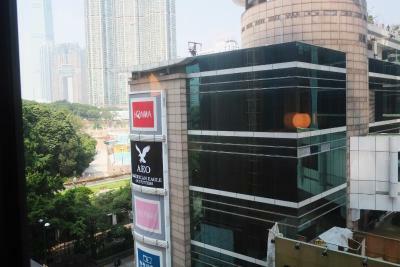 Location is strategically located with short walking distance to MTR station and the malls are just next door. 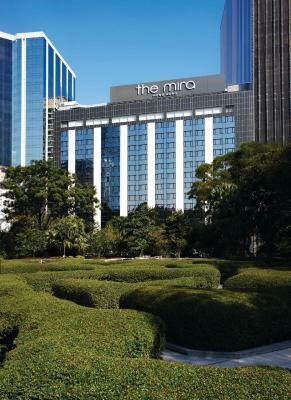 The Mira Hong Kong This rating is a reflection of how the property compares to the industry standard when it comes to price, facilities and services available. It's based on a self-evaluation by the property. Use this rating to help choose your stay! One of our top picks in Hong Kong.The Mira Hong Kong provides stylish lifestyle-designed rooms and exclusive personalized concierge service. 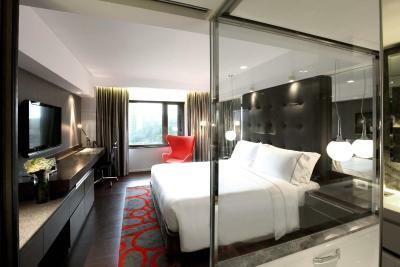 It features smoke-free rooms with a pillow menu and free WiFi access. 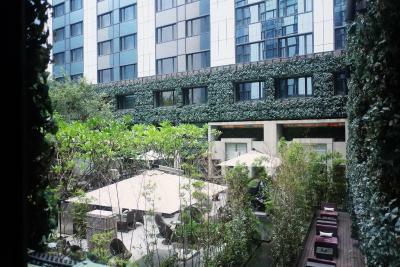 The Mira Hong Kong is located along the vibrant Nathan Road, directly connected to Mira Place 1 & 2 (shopping malls). 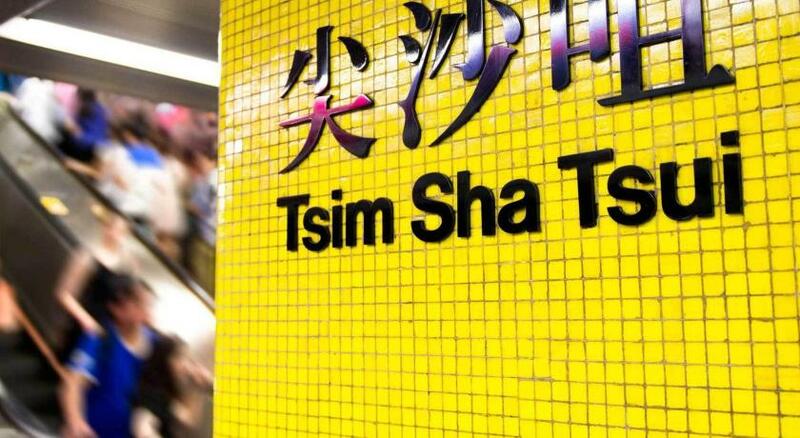 It is about a convenient 5-minute walk from Tsim Sha Tsui MTR Station. The Star Ferry Pier is around a 10-minute journey on foot. Guests are pampered in more ways than one in Mira’s rooms, which come in a selection of color schemes. 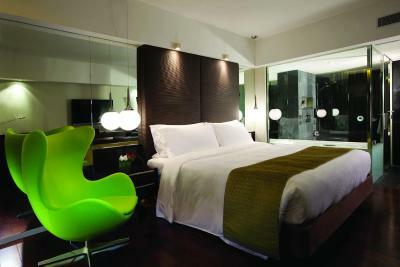 Luxurious rooms include iPod docks and 40-inch flat-screen TVs. Rainshowers are provided in bathrooms. 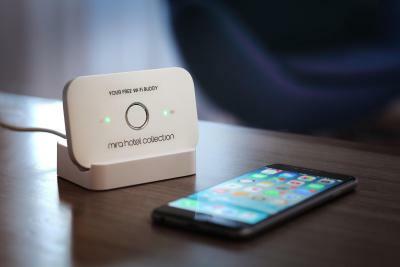 In each room, guests can enjoy access to a sleek, portable free WiFi device, with 24/7 connectivity, and able to offer a signal to various devices such as smartphones, tablet and laptop. 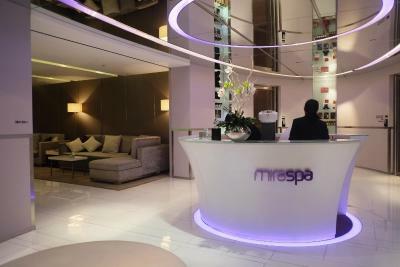 Here at The Mira Hong Kong, guests are welcome to soothe tension away with a relaxing massage treatment at the spa or indulge in a nail and hair treatment at the salon. 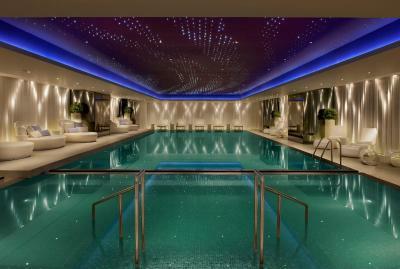 A 24-hour fitness center and indoor pool provide other options for wellness. 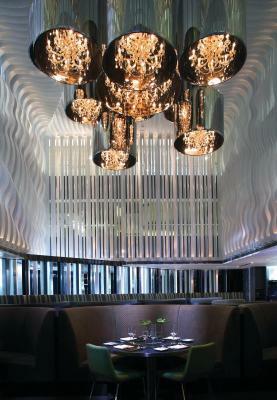 The Michelin-rated recommended restaurant, Cuisine Cuisine, brings Cantonese delights to the table. International, European and Japanese dishes await at Whisk and Yamm. For chocolate and coffee fans, COCO is available. 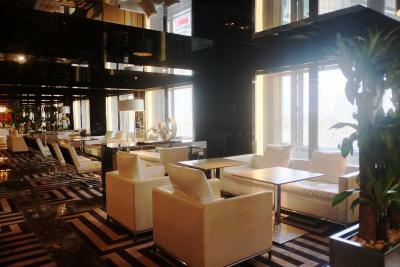 To unwind over drinks, guests can visit Terrace Garden BAR and Room One-Sport Bar. 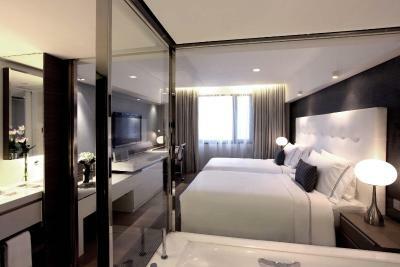 When would you like to stay at The Mira Hong Kong? 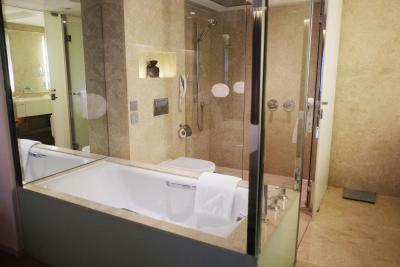 This room has a bathroom with a bathtub and a separate rainshower. Guests can use the complimentary pocket WiFi and press-reader with over 4,000 newspapers and magazines from more than 100 countries with over 70 languages. Bedding choice is based on request or subject to availability. 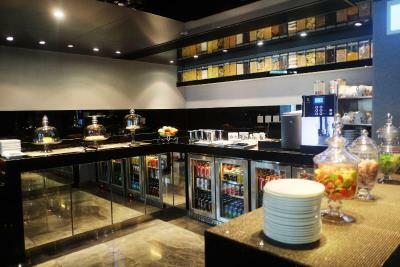 Featuring club lounge benefits such as priority check-in/out, free breakfast and free drinks throughout the day and cocktails in the evening, the room comes with a complimentary pocket WiFi and a press-reader with over 4,000 newspapers and magazines from more than 100 countries with over 70 languages. Please kindly note that only guests aged 12 and over are welcome. 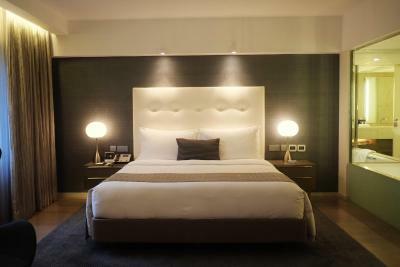 The 3rd guest can stay free of charge when using the existing bed in the same room. A surcharge will be applied for extra bed. 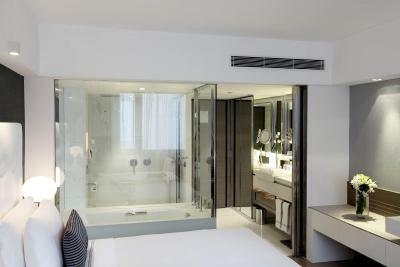 This room offers a bathroom with a bathtub and a separate rainshower. 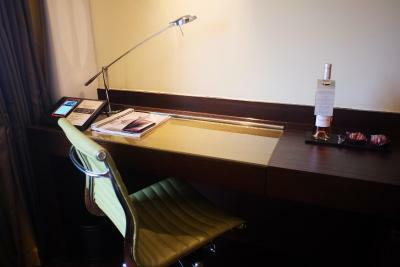 Guests can use the complimentary pocket WiFi and a press-reader with over 4,000 newspapers and magazines from more than 100 countries with over 70 languages. 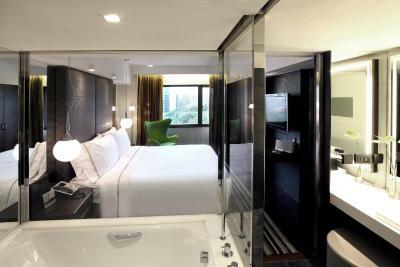 Featuring a laptop-size safe, a 40-inch LCD TV, an acoustic system and a branded coffee machine, this suite has a large bathroom attached with a double-sink, in-mirror TV, a bathtub and separate rainshower. Guests can use the complimentary pocket WiFi and a press-reader with over 4,000 newspapers and magazines from more than 100 countries with over 70 languages. Bedding choice is based on request basis or subject to availability. 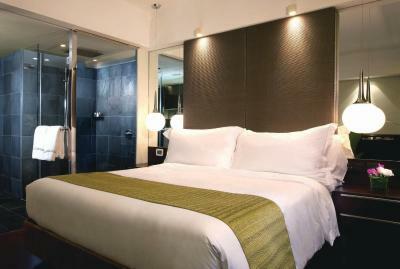 Featuring air conditioning and a flat-screen TV, this room has a bathroom with rainshower facilities. Guests can use the complimentary pocket WiFi and a press-reader with over 4,000 newspapers and magazines from more than 100 countries with over 70 languages. - There is no bathtub or computer in this room. 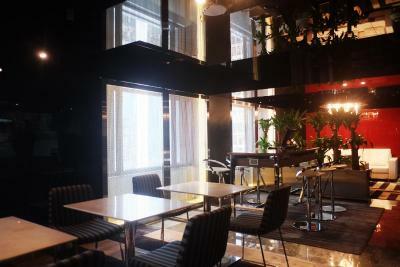 - The room can accommodate up to 2 adults only. Children are not allowed to stay in this room. Our design hotel The Mira Hong Kong in the heart of Hong Kong’s popular Tsim Sha Tsui has been crafted to ignite your senses. 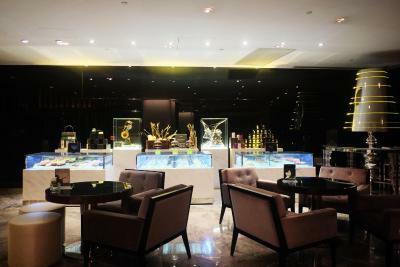 We invite you to enjoy a luxury hotel stay where not a single detail has been missed, from our sleek, comfortable rooms, to the exquisite dishes served in our Michelin-recommended restaurants, to our state-of-the-art facilities. Relax, indulge, and be our guest at The Mira Hong Kong – part of the Design Hotels™ network of exclusive global properties. House Rules The Mira Hong Kong takes special requests – add in the next step! 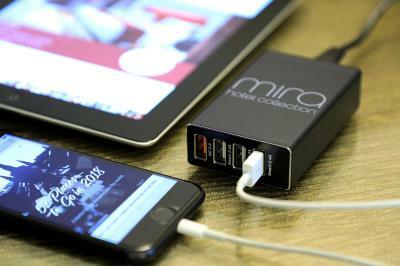 The Mira Hong Kong accepts these cards and reserves the right to temporarily hold an amount prior to arrival. Please note that special traffic arrangement and road closure are expected from 17:00 until further notice in the hotel nearby Tsim Sha Tsui area for special festive dates including Christmas Eve (24 December), New Year Eve (31 December) and Chinese New Year (26 January 2020, 13 February 2021, 2 February 2022, 23 January 2023, 11 February 2024). 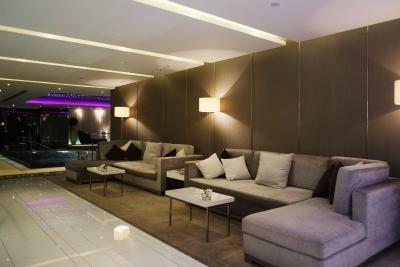 Kindly note that hotel deposit at HK$1,000 daily and maximum HK$3,000 per week is required at check in. 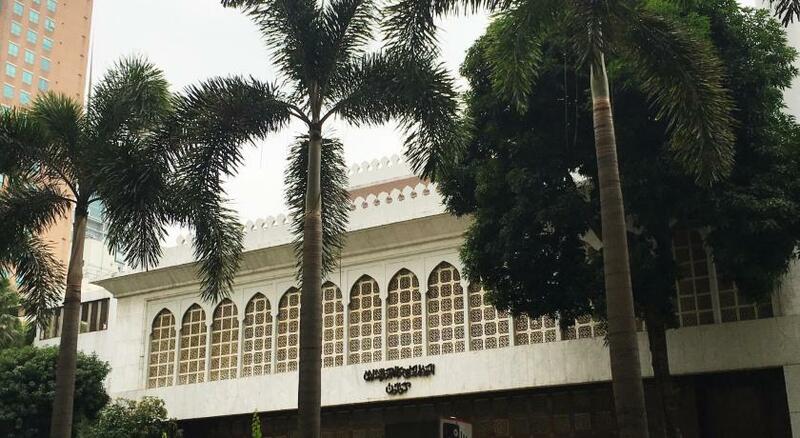 The indoor pool is open from 6:00 AM to 11:00 PM, but please note that children are welcome only until 8:00 PM. I am 1,95 cm high and almost reach the top wall on the floor with my head . 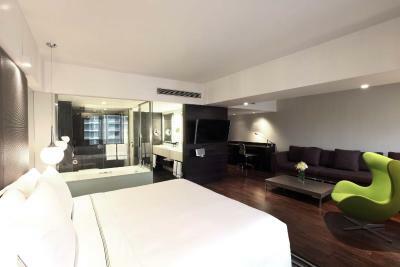 Swimming pool /Spa , room suite 80 , location , lounge , cleaning room ! Washroom is kept clean by staff daily but it's showing signs of aging.. We stayed on the 9th floor facing a courtyard of a local restaurant below, not noisy but occasionally can present food odour. Including breakfast would be a huge sell for the hotel. That's all it's really missing. 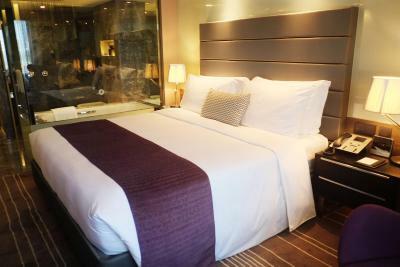 The location was great, the room was spacious and clean, and the bed comfy. As a Singaporean, i had stayed in many hotels. 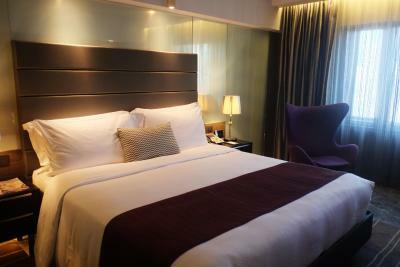 My first time in Mira as I wanted to change from my usual Hyatt in TST. This hotel gave me two twin beds when I requested for a single bed - room at the time of my booking 14 days earlier. They insisted and send me 3 prior mails that my room was not available. When I arrived at 11 pm that night, my room was not ready. The staff wanted to combine the two beds but I arrived at 11 pm and was too tired to wait for them. I accepted the choice SPG has for me Next door building was renovating and I had knockings and banging throughout the day. Housekeeping did not replenish my bathing soup and even my shampoo - had to repeat myself on different days to different staff. All Pillows were totally deflated. Washing sink was stuck and water refuse go down. No ironing board for my room type. Gave me a complimentary portable wifi that did not work. I booked the Mira Suite 70 for my parents' anniversary trip, they stayed from April 3-6, 2019. I'm so disappointed with their feedback regarding The Mira, especially since I chose this hotel due to good reviews. This is the very first time that I am writing a negative review on a hotel. My family and I are avid travellers and have been using booking.com and relying on reviews when choosing our hotel and this is the first time that the reviews failed us. Breakfast: based on reviews they make it sound like the spread is impressive but according to my parents it's very basic. STAFF: - During my parents stay they have been repeatedly disturbed by a staff who randomly opens the door without even sounding the doorbell. When questioned he makes "housekeeping" as an excuse and asks if they need anything and pretends like he doesn't understand them even though he speaks good English. My mom and dad has repeatedly ask this same person to not open the door without ringing the doorbell first. - At their last day, while packing my mom found out that she is missing items (i.e. 4 brassieres and 1 pant). They don't want to point fingers but they think it's the staff who keeps opening their room without permission. Since, valuable items like ipad are just being left in their room but was untouched, it made my parents think that the thief is perverted. - They reported this to the reception but they were slow to address the issue. My parents asked me to put this here to alert future bookers. Hopefully, their's is just a one-time creepy experience but they still want potential customers especially women to be more cautious. Also, they want the hotel to do better in ensuring the safety of their clients. Hopefully, the hotel management will read this and address the issue expediently. The bed is too soft for me... and some furnitures look a tiny little bit old. Building is very noisy. You easily hear your neighbor in the next room. Also noise from the inner garden (loud music). I have stayed in many hotels before. 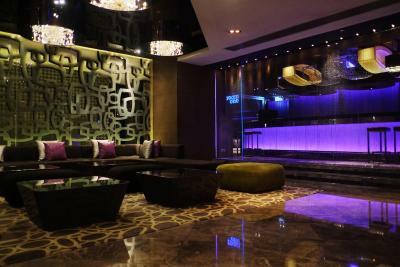 The Mira HK is by far the dimest lit floor corridors. As there are so many reflecting mirrors on the walls of the corridors, it looks more than you are inside a maze and could not easily find your way out. Bad for fire safety where hotel guests might not be able to find their way out if there is an emergency. The prize of hotel room is expensive. Should include breakfast to make it more attractive to guests. 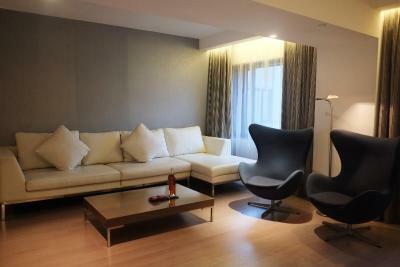 The services provided by the housekeeping staff are good. The lighting of the room. The only hotel I stay at in Hong Kong! They have everything and the location is amazing!